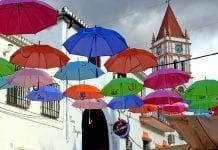 ONE of the key ingredients for the perfect stay in Ronda is a good place to eat. And few places in Spain have such a good range of restaurants as the Serrania de Ronda. But beware… there are plenty of dreadful places to eat. Get it right and you will get an enthusiastic chef using the excellent local ingredients, including olive oils, cheeses, hams, mushrooms, fruits, nuts and vegetables. Get it wrong and it will be a lousy tourist-trap serving cheap, substandard fodder. The real chestnuts, include long-standing winners, such as Pedro Romero, Casa Santa Pola and soulful Almocobar, while the rural delights of Molino del Santo and El Muelle, in Arriate, continue to take the biscuit. Up in Ronda check out creative Tragatapas, run by former Michelin-starred chef Benito Gomez, who trained at El Bulli, as well as authentic Porton – an institution – run by the same two friends Javier and Pepe for the last four decades. Steeped in bullfighting history, here you will find my favourite Ronda tapa, the wonderful quails egg with ham on toast, not to mention some excellent sea food. Right in the heart of the old town in the most emblematic town hall square, you will love whiling away the day at Meson El Sacristan. Run by friendly Antonio from Campillos, this busy spot, which counts on Roman ruins in the basement, has easily the best steaks in the town, cooked to a tee in the only wood-oven around. Another great spot for the full traditional monty and the perfect sit down on a wet day or cold night Pedro Romero, opposite the bullring is hard to beat. Run by two brothers, including Tomas, one of the best sommeliers in Spain, history is all around you and, of course, rabo de toro is one of the very best picks. Another incredibly atmospheric spot is Casa Santa Pola, which certainly takes some beating for location and views, sitting literally in the famous tajo. But food-wise it is also a big winner (and one of the few places mentioned in the Michelin guide) thanks to Catalan chef Ignacio, who knows Spain’s culinary scene like the back of his hand, and who has worked around the country and likes to experiment as much as possible. This hard-working talent has just opened a new restaurant in Sevilla, but he and his son maintain the quality here I am pleased to report. Another long-term stalwart is the three decades old Almocobar, in the Barrio San Francisco. Run by a tight-knit team, there are plenty of vegetables and tip top service. Above all, presentation is important and the spectacular wine list, which features practically all the local vineyards, is a massive bonus. 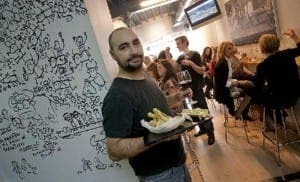 Across the road check out excellent value Bar San Francisco, while one brand new and exciting spot finds Antonio, ex-Almocobar maitre d for two decades, ploughing a new furrow at El Pino in a nearby side street. A classic hole in the wall local, Antonio is charm personified and his tapas, including an amazing spinach and chicken burger, were fabulous. If you just fancy a browse of various different places to eat, you need to head to Calle Nueva, opposite the parador, where you will find a series of excellent places, cheek by jowl and vying for your custom. There is an Italian, La Vita es Bella, an Indian and the celebrated Tragatapas too. The best places for tapas are charming Casa Quino, a family-run joint, where its big boss Joaquin does a great job in the kitchen, producing a range of classic local dishes. A keen photographer, he also has the best collection of old photos of Ronda. For a more formal sit down you should try Puerta Grande, consistently highly-ranked on Trip Advisor and with excellent quality food and service. And in pole position, right on the emblematic square by the famous bridge check out Taberna el Puente, where, in a good sign, its owner Paco is often to be found in the kitchen. Specialising in gourmet hamburgers, paella and salads, best of all, the kitchen produces various vegetarian dishes, in particular some for celiacs. Ronda also has a friendly Argentinian Buenos Aires, run by characteristic Omar. It is an excellent spot for tapas, breakfast or just a pint to watch the UK football. It also probably also serves up the best coffee in town thanks to its fresh milk. Outside of Ronda a number of great places stand out. 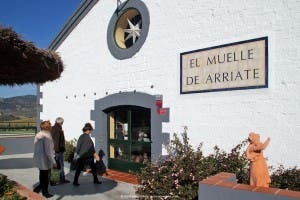 One of the very best, is El Muelle, in Arriate, which has been top of Trip Advisor for the whole of Andalucia for nearly three years. Yes, ‘Number One’ out of 19,100 restaurants in Andalucia, a trip to visit this converted railway storeroom is an absolute must, as many people do on a day trip from Malaga and even Sevilla. 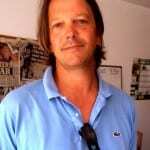 Run by friendly Dutchman Frank Rottgering and with chef Isa from nearby Alcala del Valle, it has maintained its attention to detail, its customer service and, above all, its amazing prices. Another amazing rural spot is Molino del Santo, where Alberto just keeps getting better under the watchful eye of owners Pauline and Andy. Probably the best quality food in the Serrania, the menu changes by the week and there are always plenty of twists and flourishes. Expect excellent local wines, mostly local and seasonal produce and easily the nicest outdoor dining terrace one can imagine. Booking is essential. 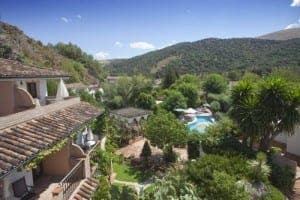 Another charming rural spot is La Cascada, at hotel Molino del Puente, where Ian Love has been winning plaudits for his tasty creations for many years. Set up with wife Elaine after a number of years on the coast, his food is so highly rated the place is frequently in Andalucia’s Top 20 on TripAdvisor. Finally, over in Zahara de la Sierra you will find Al Lago, set up by talented chef Stefan Crites, from America, and his wife Mona, from the UK. 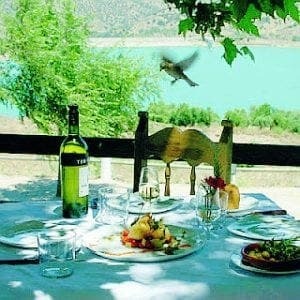 Stef specializes in local ingredients, including venison, wild boar and mushrooms and the views across the stunning Zahara lake are very difficult to beat. WHEN you’ve got a formula working, why change it? Such is the case at Ronda’s longest-established patisserie Daver, where three generations of the same family have kept up standards for over 50 years. All conveniently named David Verdu, there is even another younger David Verdu waiting in the wings to take over from his dad. “It’s our tradition,” explains current boss David Verdu, who has done cooking courses around Spain and worked in the best patisseries in Barcelona and Asturias. As well as two patisseries in Ronda, there is a new Daver in Algeciras, all selling the delicious range of sweets, cakes and gourmet products, including dozens of Ronda wine. TAKING a tour into the green hills around Ronda yields a series of excellent country restaurants. One of the most exciting at present is La Cascada, at hotel Molino del Puente, where Ian Love has been winning plaudits for his tasty creations for many years. Set up with wife Elaine after a number of years on the coast, his food is so highly rated the place has recently entered Andalucia’s Top 20 on TripAdvisor for the first time. Over in Zahara de la Sierra you will find Al Lago, set up by talented chef Stefan Crites, from America, and his wife Mona, from the UK. Consistently one of the best places to eat in the Serrania, Stef specializes in local ingredients, including venison, wild boar and mushrooms. You sit overlooking the stunning Zahara lake and can even lay down your head upstairs should you feel you have overdone it. Slightly nearer Ronda is Molino del Santo, where Andy and Pauline have served up the best quality food in the Serrania for three decades. One of the most evocative terraces in Spain, service is impeccable, and the menu changes regularly and by the season. Over in San Pablo de Buceite look out for Restaurante la Estacion, where Nieves Dominguez has created a great restaurant on a station platform, hence the name. Creativity is name of the game and the place is always popular.